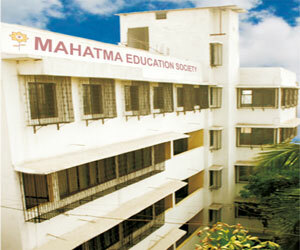 The Mahatma Education Society embarked upon its mission of “Education for all” with the Chembur English High School in the year 1970. The vision, dedication, global outlook, tenacious struggle and undaunted spirit of the Chairman and C.E.O., Dr. K. M. Vasudevan Pillai and the forward looking, untiring energy of the Secretary, Dr. (Mrs.) Daphne Pillai have now transformed the Mahatma Education Society in to a vast educational organization, spread over six elegant campuses at Chembur, New Panvel (Sector 7), New Panvel (Sector 8), New Panvel (Sector 16), Borivali (Gorai) and Rasayani (Raigad District). The Society now manages a total of 48 educational institutions providing quality education from kindergarten to Post-graduate professional courses in the faculties of Engineering, Architecture, Management, Teachers Training, Arts, Science and Commerce to more than 30,000 students with 2,000 Teachers and 1,500 members of Non-Teaching Staff. All institutions managed by Mahatma Education Society have excellent Professional Faculty, World Class Infrastructure, State-of-the art laboratories, well stocked libraries, computer centers with internet connectivity, seperate hostels for boys and girls, cafeteria, gymkhana and playgrounds. Excellent results, 100% placement, interaction with the corporate world and global exposure are some of the special features of tne institutions run by Mahatma Education Society. Popularly known as the Pillai Group of Institutions, this education major has its own teacher training institutes, which allow it to define its own standards and to achieve 100% results unfailingly. Institutions managed by Mahatma Education Society are affiliated to the University of Mumbai, approved by AICTE / COA / NCTE and recognised by the DTE, Government of Maharashtra and accredited / graded by NAAC / NBA / DTE. We are committed to provide a holistic education based on new generation academics that creates not just powerful global career options for our students, but which empowers them to become key contributors to the community and the environment in which they live. In this fiercely competitive world, success has several dimensions far widespread than the vortex of academia, spreading its tentacles into diverse fields on which one has to be adept in. Our objective at Pillai’s has always been to create a climate conductive to ‘endeavour’ that students can unleash their untapped potential.